Smoked fish, matzo ball soup, babka and other favorites are popular again on local tables. 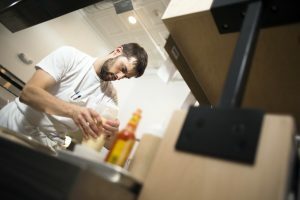 It was the day before Rose Foods’ official opening, and while the baker and chef at the new Jewish deli on Forest Avenue kept busy in the kitchen, owner Chad Conley worked with handymen on last-minute fixes. “Welcome to the neighborhood!” read the note on a bouquet of flowers in the window, sent by a local resident. During a break in which Conley explained how he developed his bagel recipe, a man walked in and tried to order one of those bagels. “We’re not actually open,” Conley told him, and the man apologized, saying how “psyched” he was to have a Jewish deli in the neighborhood. Similar scenarios repeated themselves several times over the next hour. It was, perhaps, a symptom of a larger appetite in Greater Portland for traditional Jewish foods like the ones on Conley’s menu – smoked fish on bagels, mile-high pastrami on rye, matzo ball soup, latkes, herring plates, and appetizing platters. Conley isn’t the only food entrepreneur trying to fill this particular niche, although most are doing it in smaller ways. Union Bagel in Portland makes bialys on the weekends. 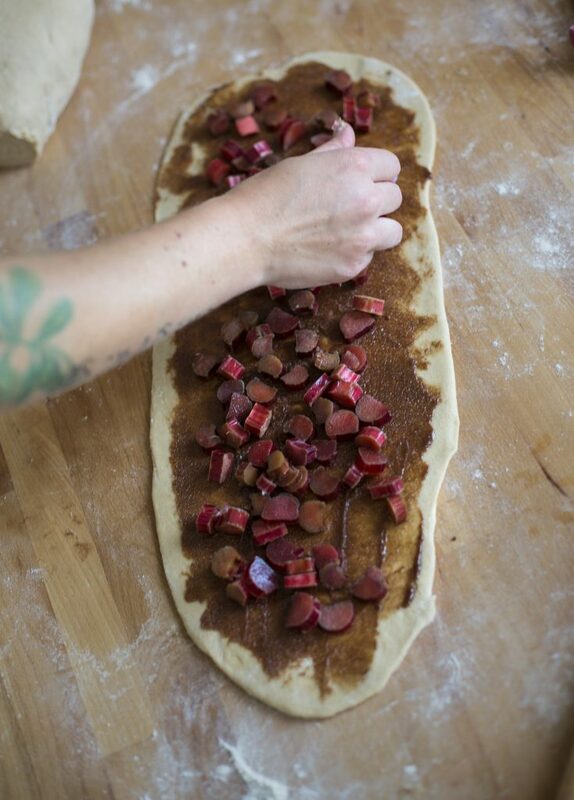 Just a stone’s throw away, Atsuko Fujimoto bakes babka on Fridays at Ten Ten Pié. 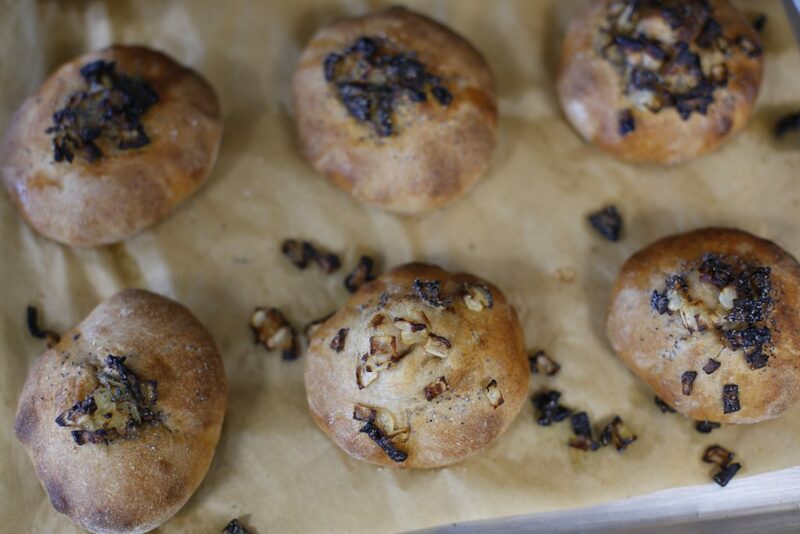 Out on Brighton Avenue, Elise Richer makes knishes at Tin Pan Bakery, and Audrey Farber is baking traditional Jewish breads at the Fork Food Lab. 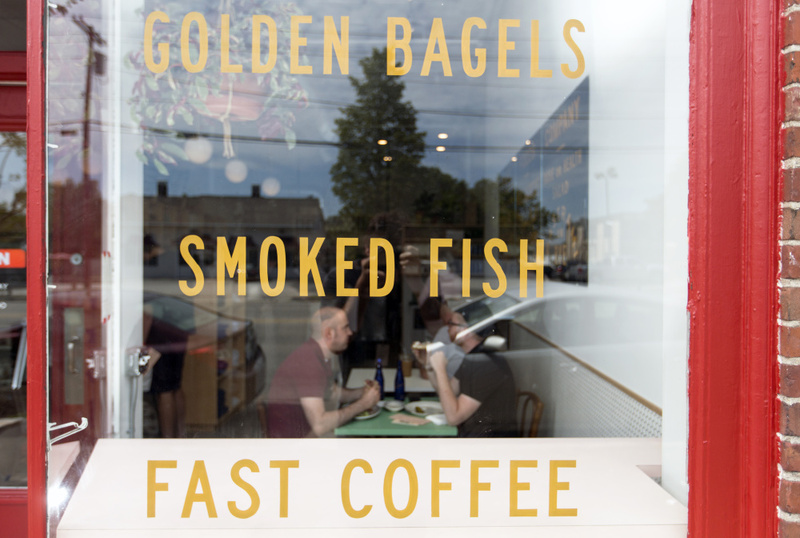 In North Yarmouth, the smoked fish topping on Krista Desjarlais’ Montreal-style bagels delights customers who used to live in New York. These local interpretations of traditional Jewish foods are happening against a larger national backdrop: the revival of the Jewish deli. And this is a renaissance that you don’t have to be Jewish to enjoy. In Portland, probably the best known Jewish deli in recent memory was George’s, which was then followed by Full Belly Deli. When Full Belly Deli closed, then re-opened and closed again, lovers of a good Reuben, chicken soup, and brisket mourned the passing of a tradition – and of a good nosh. Mainers’ appetite for Jewish food is surging just as more places where they can find it, like Rose Foods in Portland, appear on the scene. Now it looks as if these food traditions may have new life. 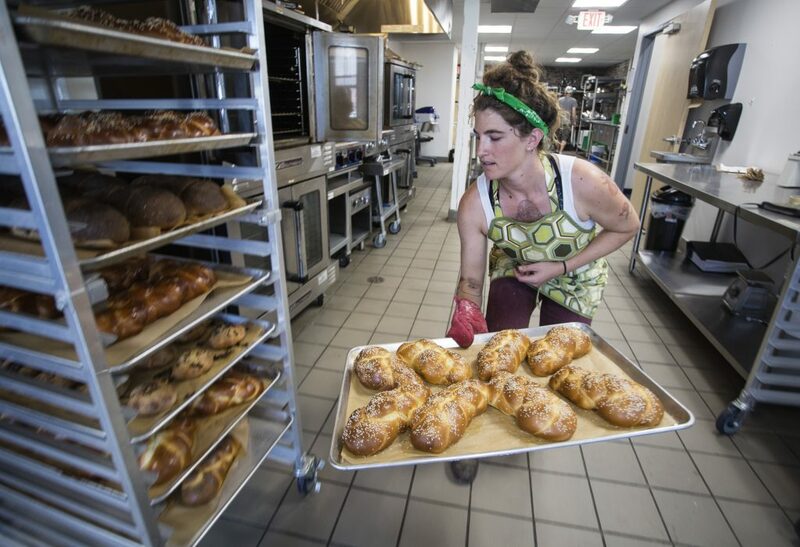 Audrey Farber, founder of the one-woman Bubbe & Bestemor’s Baking Company, is baking Eastern European Jewish breads such as babka, challah, bialys and deli rye. 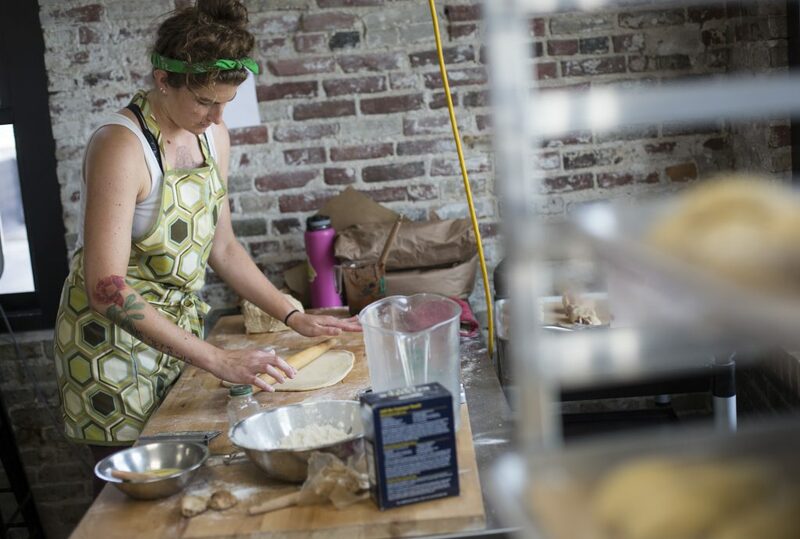 She sells her breads at Rose Foods, Portland Food Co-op and Town Landing Market in Falmouth. Farber grew up in a large Jewish community in New Jersey before her family moved to Maine when she was 12. 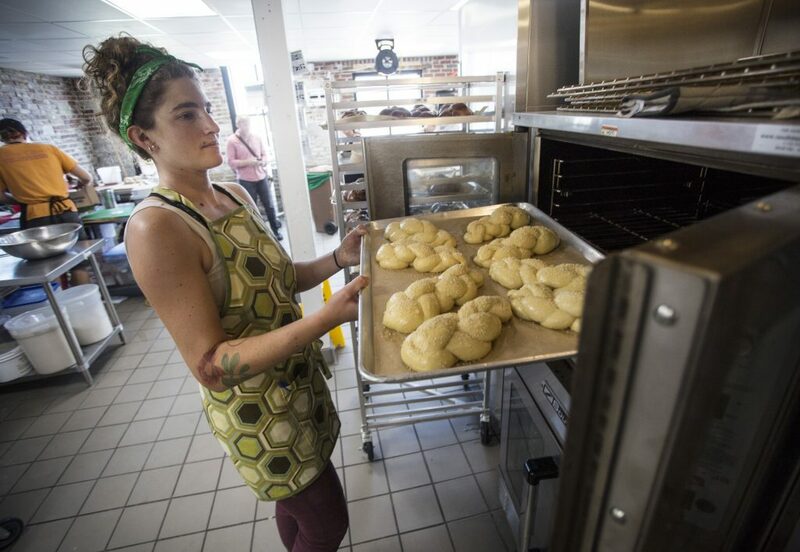 She says it’s hard to find these traditional breads in Maine made with the same kind of flavor and experience as those baked in a community with a strong Jewish identity. 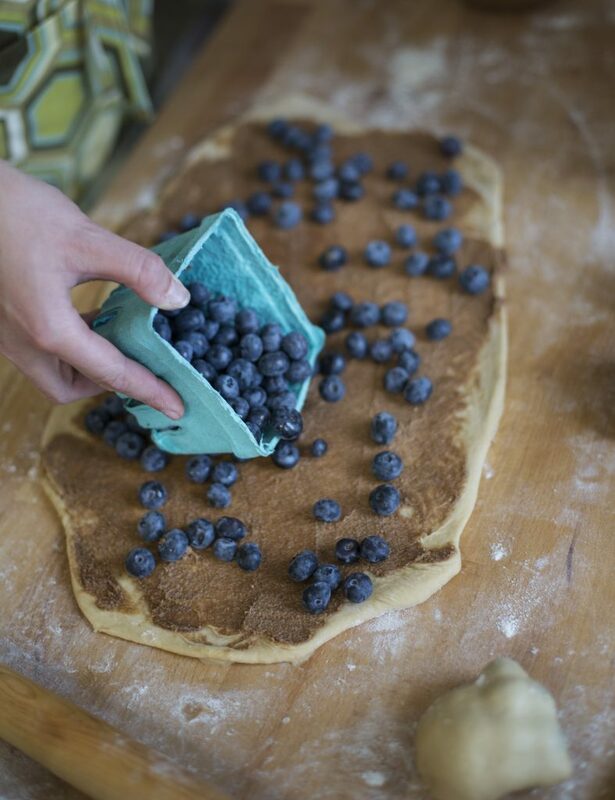 But occasionally she also gives them her own twist, filling babka with Maine ingredients like blueberries and rhubarb, for example. 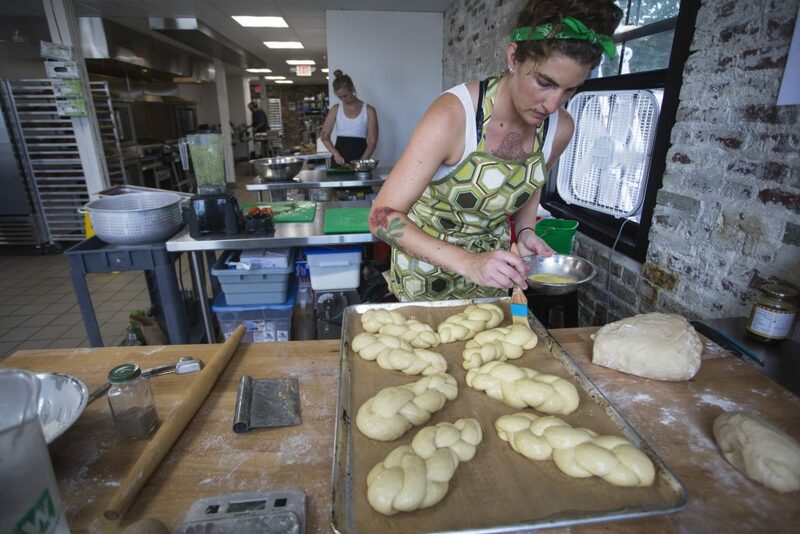 Farber will expand her menu during the Jewish holidays, making rugelach for Hanukkah, a round challah with raisins for Rosh Hashanah, and hamantaschen for Purim. 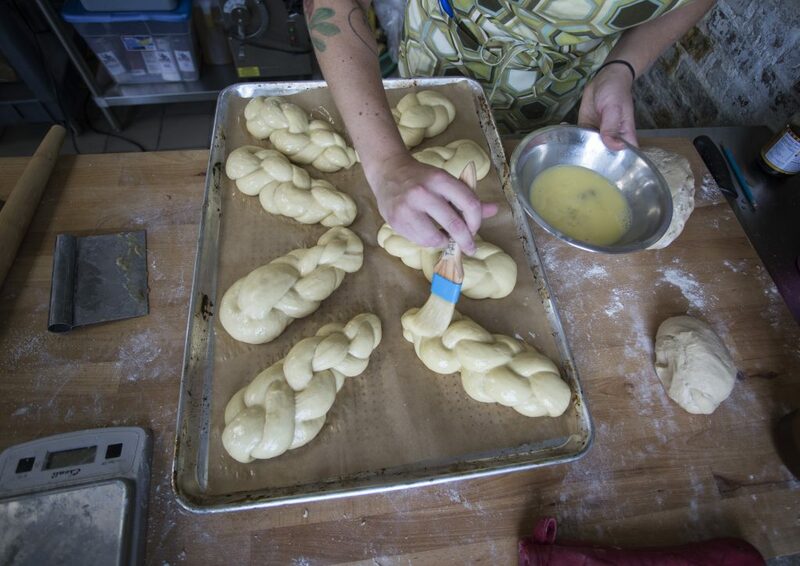 At Tin Pan Bakery on Brighton Avenue, Elise Richer makes challah and an occasional batch of knishes filled with Maine potatoes. Richer’s father was Jewish, and she is raising her children Jewish. 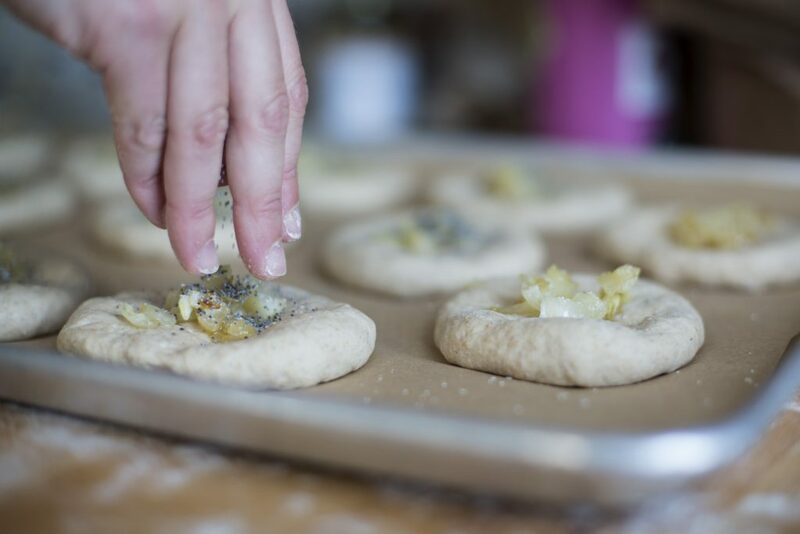 Richer has also baked hamantaschen, which she says only her Jewish customers recognized, and she plans to experiment with other knish fillings, such as buckwheat or broccoli and cheese. The fresser pastrami on rye at Rose Foods with a can of Dr. Brown’s Cel-Ray soda. That’s right. Celery-flavored soda. 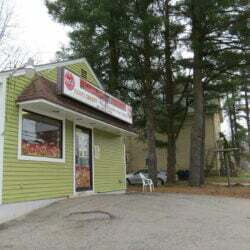 In fact, Krista Desjarlais, owner of The Purple House in North Yarmouth, sells smoked salmon, gravlax and whitefish caviar as toppings for her Montreal-style bagels. 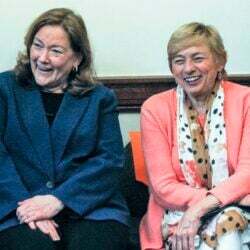 Desjarlais grew up in Westport, Conn., outside of New York City, which has a large Jewish community and “great” Jewish delis.” She says when she first opened the small restaurant (closed until October), she served chopped liver and two types of herring, and whitefish was in the works. But those items didn’t sell well, and fans of her former Portland restaurant, Bresca, begged her for more of the creative style of food she’d served there. Her current menu still honors some Jewish traditions, food which has attracted “tons of regulars,” she says, mostly former residents of the New York/New Jersey area. But Desjarlais predicts that Conley’s decision to go “all in” will pay off. “He’ll do gangbusters there,” she said. The growing interest in traditional Jewish foods is happening elsewhere, too, Farber notes. 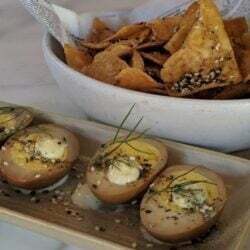 Los Angeles, she said, “is a huge hub of modernist Jewish baking, really weird stuff like mac-and-cheese-stuffed challah.” In places like Atlanta, San Francisco and New York, young Jewish Americans are not only embracing but also updating the staples that graced their grandparents’ tables, opening modern delis where they put a 21st century twist on pickled herring and gefilte fish. Several culinary threads tie this renewed interest together. 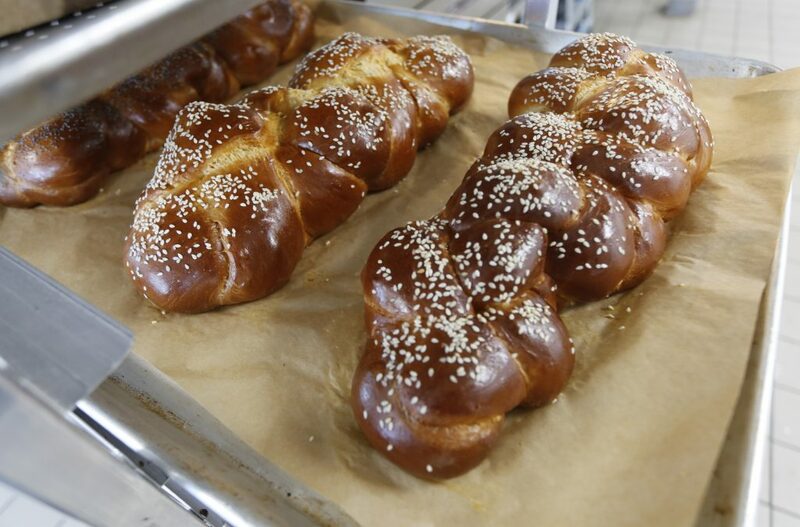 “As these really cool ethnic foods start to become part of our culture, I’m not surprised that these Jewishly cultural foods, the Eastern European foods, are becoming popular too,” said Rabbi Carolyn Braun of Temple Beth El. Hathaway, a transplant from Brooklyn, converted to Judaism when she married, and she is an active volunteer in the local Jewish community. “But then also there’s that (Yotam) Ottolenghi-style, Sephardic-style Jewish food that’s so clean and herby and citrusy, that also seems to be all over Instagram,” she said. Ottolenghi is an Israeli-British chef whose cookbooks are a best-selling phenomenon; he is part owner of several delis in London. The Monday Morning bagel sandwich at Rose Foods comes with chopped liver, egg, pickles and gribenes. 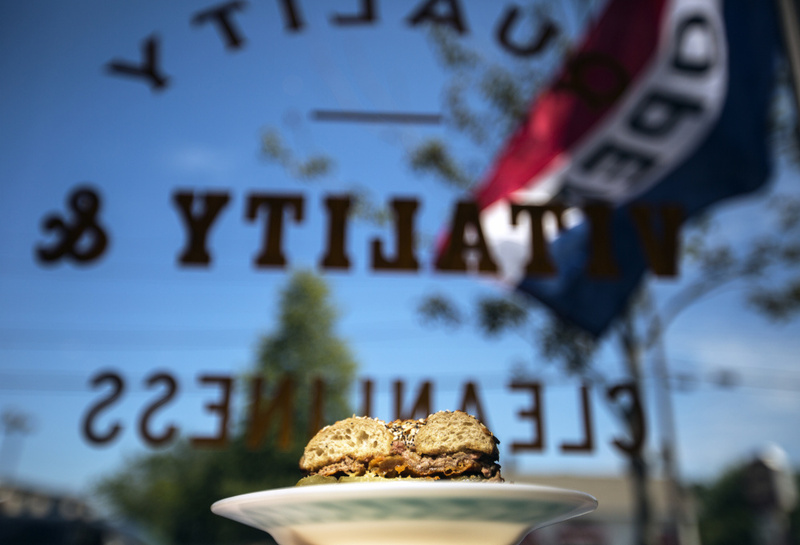 As Portland grows and changes, people are moving here from New York and other large cities with communities that have strong Jewish identities who miss the old-fashioned Jewish delis and bakeries they left behind, Freidenreich said. Others miss the good Jewish-style foods that used to be available here. Portland’s Jewish commmunity was once concentrated on the peninsula and home to lots of kosher markets and bakeries. Rosenberg, who moved to the city in 1975, remembers a string of markets and delis along Cumberland Avenue. That year, according to the Documenting Maine Jewry website, there were 3,500 Jewish residents in the city. 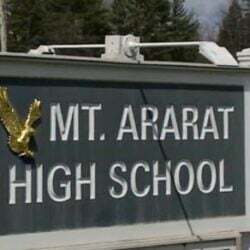 By 2007, according to a Jewish Community Study sponsored by the Jewish Community Association, there were 8,350 Jewish people living in Cumberland and York counties, which represented 2.2 percent of the total population. The Ocean Avenue building that now houses Tipo, an Italian restaurant, was once Pennywise, a Jewish market that was kosher in the back and non-kosher in the front. Susan’s Fish-n-Chips on Forest Avenue was a kosher bakery owned for 52 years by Rebecca Rice, the daughter of Russian immigrants. Today, people who keep kosher in Maine don’t have nearly as many local resources, and Freidenreich doubts the days of plentiful neighborhood kosher markets will return anytime soon. Rose Foods owner Chad Conley works during the breakfast rush on Thursday. Conley used to live in New York, so he’s familiar with Jewish delis there, and his wife, Rachel, is Jewish. (Rose Foods is named after her great-grandmother. The Uncle Leo bagel sandwich on the menu, Conley coyly suggests, may or may not also be named after a real person.) 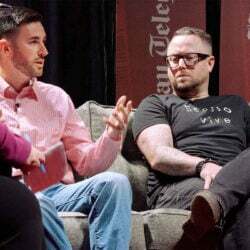 Conley talked with owners of delis in Los Angeles, San Francisco, Atlanta and New York to get advice on how to shape his business – including a retail side that sells Jewish cookbooks and a few groceries. 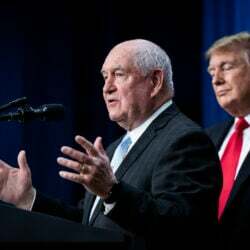 He also visited a Toronto bagel shop, Schmaltz Appetizing, “that I really fell in love with,” basing his chopped liver and gribenes sandwich on theirs. “I wanted to have a place that served that sandwich,” he said, laughing. 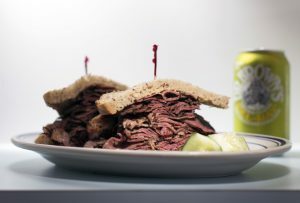 There were a few other menu items Conley considered absolutely essential, if he were to call his place a Jewish deli: Matzo ball soup, for one, and a huge pastrami sandwich on rye. He’s making his own whitefish salad from scratch. One of Conley’s biggest hurdles has been sourcing ingredients. 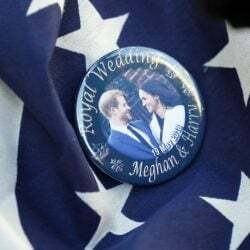 His caviar comes from Browne Trading Co. here in Portland, but other items – smoked sable and smoked salmon – have required regular shipments from New York. He’s brought in Dr. Brown’s sodas, a staple in Jewish delis, stocking black cherry, cream soda, ginger ale, and Cel-Ray – a celery soda. Conley knows that customers, especially transplants from New York, will compare Rose Foods to a classic New York City deli. 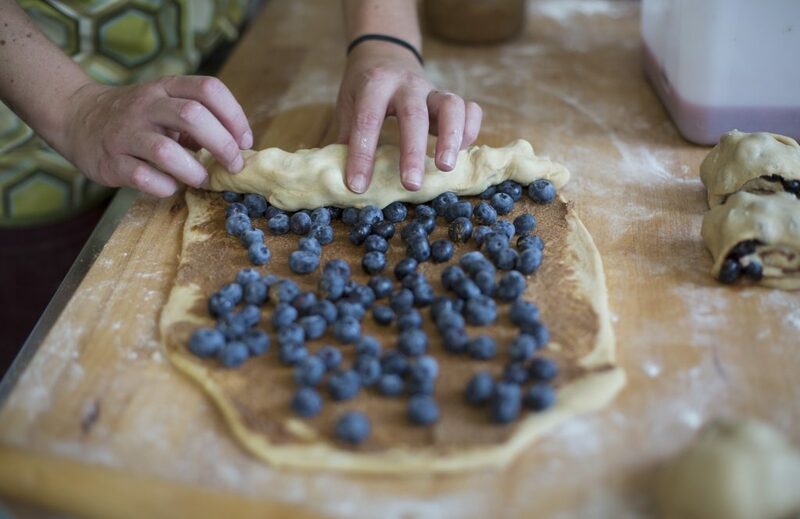 And that is what makes this new wave of Jewish cooking and baking different. Yes, it tastes good and is well made, but it’s not just a nostalgic throwback. 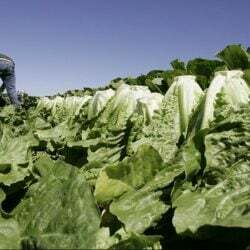 “It’s making food for everybody,” Freidenreich said. Correction: This story was updated at 10:15 a.m. on August 11, 2017 to correct the spelling of the director of the Jewish Studies program at Colby College. How is a wine drinker to know if a particular wine is worth the price tag?